Availability: Currently unavailable | Runtime: 63 minutes. Format: HD Digital. The critically-acclaimed 3rd film from director Kentucker Audley continues his streak of authentic, ambling no-budget films. This summer film made in Memphis won praise for its sincerity, laid-back humor, and naturalistic performances. Co-written and starring musician Jake Rabinbach (The Echo Friendly), Open Five is the story of two young New York women visiting Memphis for a complicated weekend of juke joints, ‘singing and dancing’ churches & backyard hangs. finally got around to watching Open Five last night. @KentuckerAudley keeps blowing me away, whether he's directing or acting or both. @KentuckerAudley yo, finally saw OPEN FIVE. Completely wonderful film. Looking forward to watching 2 this week! @KentuckerAudley @jumpbackjake @shannonlucia Just saw Open Five. Beautiful work, you guys. Created by Kentucker Audley and Jake Rabinbach. Directed by Kentucker Audley. 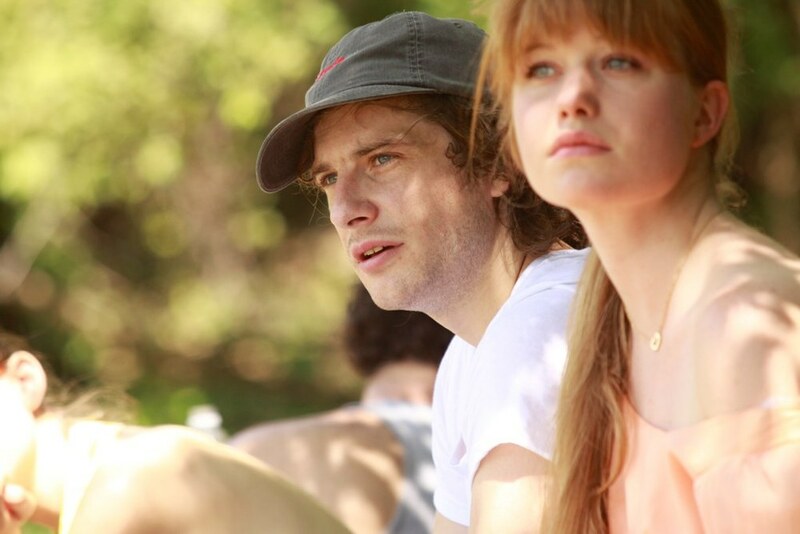 Starring Jake Rabinbach, Shannon Esper, Genevieve Angelson, and Kentucker Audley. Featuring Amy Seimetz and Caroline White. Shot by Joe Swanberg. Additional Cinematography and Sound by David Lowery. Produced by Paper Moon Films - Ryan Watt and Nick Case. Produced by Alarum Pictures - Adam Hohenberg. Funded by crowd contributions via Chipin. Release Date: October 21st, 2010.